There are a series of basic tunings of launeddas, in Sardinian kuntsertus, which are each cut for several keys, puntus. For a festivity a launeddas player will thus bring along 7-8 different instruments which he carries over the shoulder in an oblong cylindrical case called su straka(s)u. In fig. 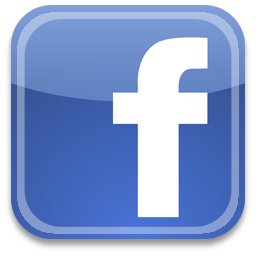 2 all kuntsertus about which information could be gained are listed. a b c d, arrefinu g: Mankosedda for punt''e organu and su far' e sa mon(c)a. Mankosa manna for mediana, mediana a pipia, ispinellu, ispinellu a pipia, fiuda bagadia and su far' e sa mon(c)a.
g a b c, arrefinu d: Mankosedda for fiorassiu, mediana a pipia, ispinellu a pipia, zampogna. f# g a b, arrefinu d: Mankosedda for mediana, ispinellu and mediana falsa. e f# g a, arrefinu d: Mankosa manna for punt''e organu, kontrappuntu, zampogna and mediana falsa. d e f# g, arrefinu b: Mankosedda for fiuda and fiuda bagadia. Mankosa manna for fiorassiu. 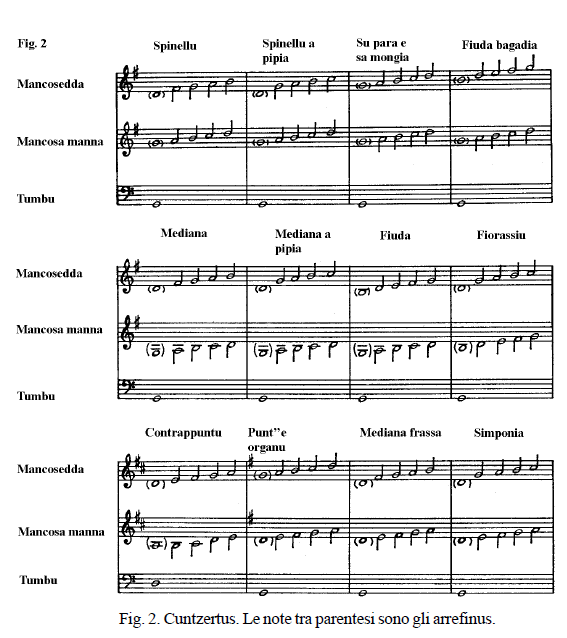 Mediana, "the middle one", is found in G,A,Bb,C,D, and E. In D-major it may have a drone of double length and it is then called mediana in re maggiore by the launeddas players who have taken the Italian musical expression maggiore and employed it in a misunderstood sense relating to the long drone. Mediana in G has now fallen into disuse everywhere except at the village of Cabras, where it is used for song accompaniment. It has the deepest possible position for a launeddas chanter in its mankosa manna from g to d demanding a very wide spreading of the fingers which limits technical display. Mediana a pipia, "mediana as a little girl", is found in the same keys as the mediana. At the village of Cabras two different mankoseddas were used for these two kuntsertus in former times, whereas they are now invariably produced on one and the same instrument, as the mankosedda is furnished with 5 finger holes of which the uppermost is closed with wax if mediana is to be played, and the lowest if it to be mediana a pipia. Ispinellu, from ispina = thorn, with a diminutive suffix, is found in F, G, and A. It is tuned as the mediana, but has the mankosa manna in the same octave as the mankosedda. This derivation is also evinced in its musical content, and it is probably a young kuntsertu. Ispinellu a pipia stands in exactly the same relation to the ispinellu as mediana a pipia to mediana. They are found in the same keys and produced on the same instrument by stopping up with wax either the lowest or the uppermost finger hole on the mankosedda. Sa fiuda, "the widow", is found in the same keys as the mediana, and a launeddas player would normally use the same loba for these two kuntsertus. It is, however, more often played with the loba of an ispinellu and in the keys in which this kuntsertu occurs. Trasposed to this range the fiuda, which is rather melancholy, becomes frisky and it is then called fiuda bagadia i.e. the marriageable widow, which has not the least to do with Lehar's musical comedy as exploited ad nauseam by the guides at folklore shows. Fiuda bagadia is sometimes called fiudedda with a diminutive ending. 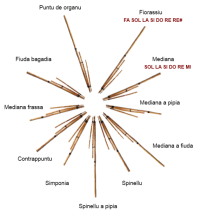 Su far' e sa monca, "the monk and the nun", consists of two identically-tuned chanters, practically the loba for an ispinellu played together with a mankosedda for a punt''e organu. It has been extinct for many years and the only person to furnish any information was the launeddas player. Dionigi Burranca, who as a small boy had heard it played a single time by the father of his master, Beppi Sanna. It was not a regularly employed kuntsertu but a compination of pipes played for fun and to show one's skill. A strong mankosa manna and a somewhat weaker mankosedda were preferable, and the various phrases depicted a conversation between a monk and a nun. Fiorassiu is found in G, A, Bb, C, D and E. The word is an irregular derivative of the Italian word fiore = flower. Punt''e organu may be taken to mean "organpoint" and "the key (=puntu) suited for playing with the organ". It is produced in D, E, F, G, A, and Bb. In D-major it may be made with a drone at the half length and it is called kontrappuntu (=counterpoint) at Campidano and at Sarrabus, frasettu, from Italian falsetto. Giulio Fara shows kontrappuntu as a punt''e organu in C-major with a drone of normal length, a kuntsertu wich has never been described to me, but wich may well have existed. Sa zampogna, "the bigpipe", is a combination of a loba for a punt''e organu and a mankosedda for a fiorassiu, and is found in the keys where these two kuntsertus coincide, i.e. G, A, and Bb. Thougth it has a repertory of its probably not an old kuntsertu. It is very difficult to play and was mainly used to perform music for listening to as a pastime and a demonstration of the skill of the launeddas player. Mediana falsa, "false mediana", consisted of a mankosedda for a mediana played with a loba of a punt''e organu. It cannot be called a kuntsertu, and was not regarded as such, but served to demonstrate one's musical ability by being able to perform the dance phrases of the mediana, accompanying them with a loba of a punt''e organu. The text on this web page is extracted from "Launeddas - A.F.W.Bentzon"